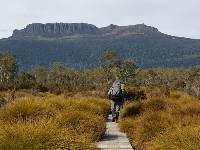 In November 2018, two teams of GI Cancer Institute supporters will be tackling Tassie’s iconic walking trails (including the Overland Track) to raise funds for cancer research. The funds raised will go towards life-saving clinical trials to improve how people are treated for gastro-intestinal (GI) cancers in Australia. Since 2015, the GI Cancer Institute has already completed 4 charity challenges which have raised over $350,000. Meet Ruth - she is joining the GI Cancer Gutsy Tasmania Challenge in memory of her sister Rochelle. She loves challenging herself and trekking, so it’s no surprise that this is her third challenge! Keep reading to hear Ruth’s inspiring story. What inspired you to join the GI Cancer Gutsy Tassie challenge? I lost my elder sister Rochelle to Pancreatic Cancer in August 2014 (she was 57) and GI Cancer are involved in clinical trials and research for this terrible disease. I am doing the challenge in memory of Rochelle and all the other people who have lost their battle to one of the world’s worst cancers. Why is increasing awareness about GI Cancer important to you? The GI Cancer Institute focus’ on all digestive cancers, most of which have low survival rates. With over 50% of patients diagnosed not surviving beyond 5 years, raising awareness of these cancers is critical to building an understanding of the role more funds for research and clinical trials can play in improving outcomes for patients. How long have you been a supporter of GI Cancer research for? 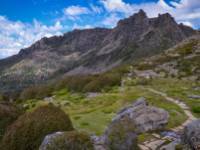 What are most looking forward to about walking in Tasmania? 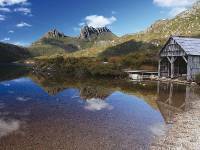 I love to trek, and I have never been to Tasmania, so it ticks all my boxes. Doing this challenge is a way of seeing amazing parts of Tasmania with like-minded people all working for the same cause. How much do you hope to raise and how are you planning to achieve this goal? Thanks to the support of family friends and my generous employer, I am hoping to surpass my target because new treatments and research in to pancreatic cancer is so important. What tips and advice do you have for people who may be considering joining this challenge? Do it!!!! This is my third challenge and there is nothing more rewarding then challenging yourself, doing something out of your comfort zone and achieving your physical and fundraising goals. If you want to challenge yourself and make a big difference to the lives of others, there are still spots available on both Tasmania Gutsy Challenges, departing in November 2018. 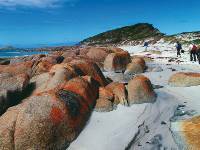 The two challenges vary in accommodation type and intensity so make sure you read below to find the trip that is most suited to you.